May 16, 1966 marked the start of the Cultural Revolution — but don’t expect China to publicize the anniversary. There is a very good reason why mention either of this anniversary, or for that matter of Lin Biao himself, did not figure in any of the official announcements produced from China this week. Lin was elevated to be heir apparent to Mao Zedong only a few months after penning his essay. But he died in a plane crash fleeing China in 1971, reportedly after failing in a bid to assassinate the chairman and seize power. Lin has been a condemned and disgraced figure ever since. If Lin figures in the public memory of Chinese today, it is for his association with another event, the 50th anniversary of which will fall next year. On May 16 in 1966, a notice issued by the Central Committee of the Party heralded what is widely regarded as being the formal start of the Great Proletariat Cultural Revolution. In various guises, this was to continue till the death of Mao a decade later. The ultimate mass movement of the post 1949 era, it touched millions of lives and reframed the thinking and world views of the generation who are now occupying the most senior positions in China. The Cultural Revolution is widely regarded as an unmitigated disaster by Chinese today, or at least those that remember it and know something about it. For this reason, it is unlikely that there will be any grand events marking the half century since it started, in Beijing or anywhere else in the country for that matter. A brief period of openness about the excesses of a period called “the turbulent decade” just after it ended has been replaced by a stolid silence. This extends to Lin Biao, someone intimately associated with both the excesses of that period and with its political failures, despite the fact that he only lived to see half of it before dying. That there won’t be a public event marking the Cultural Revolution is a pity. It was not a life and death struggle in the same way as World War II was for China. But in some ways it had an equally profound impact on the China of today, and lack of discussion or debate in the country about its meaning is troubling. 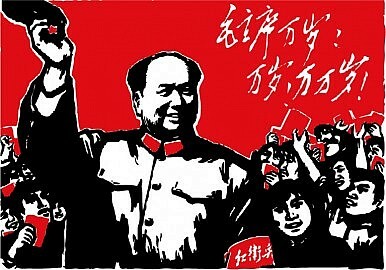 The Cultural Revolution was highly idealistic in its ambitions. It marked the high point of Maoist utopianism. His wife, Jiang Qing, one of the key ring leaders of the era, even called it “a movement to touch the soul.” For some, like the academic Mobo Gao, it was far more that the chaotic image often given to it of red guards fighting viciously with each other: it attempted to free Chinese society of its conservatism, and to allow at least some social mobility and progressiveness. Plenty would disagree with this. The late writer Ba Jin, called it a “spiritual holocaust.” Intellectuals, and those regarded as unreliable or from bad class backgrounds, suffered terribly. In the Inner Mongolia region of China alone, official figures released in 1981 stated that 22,000 had died, and many more been injured, as a result of the conflicts unleashed by the movement, inspired by its imprecation to wage class war and cleanse society. Xi Jinping has particular memories of this era, because it was the period in which he left his elite school in Beijing and was relocated to a rural area in Shaanxi province. There, Xi joined a production brigade as part of the vast army of rusticated youths sent from what were regarded as comfortable lives in the city to go and be educated by peasants. What little he has said of the late 1960s and early 1970s has been mostly negative. His colleagues on the Standing Committee had roughly similar experiences. They too have maintained silence. China clearly wants to, and should, remember World War II. But the Cultural Revolution was a significant event that has shaped their country, and it too merits some kind of memorial. Ba Jin did ask before his death that there be a museum of the period. While a small one exists in, of all places, Shantou in Guangzhou, there might be a case now for a national monument to the era. But of all the anniversaries China might be wanting to mark next year, it is pretty clear that this will not be one of them. In lieu of that, on May 16, 2016 those who do know about the Cultural Revolution and what it meant, how it happened, and why it matters will have no other recourse but to mark their recollections, and their respects to those that did not survive that period, or suffered during it, in silence.